Spice things up! Great alternatives to the usual: Versatile and food friendly Veltliner & Côte Du Rhone. Looking for a picnic wine, an outdoor wine, a verdant spring wine, a break from rosé? — look no further. 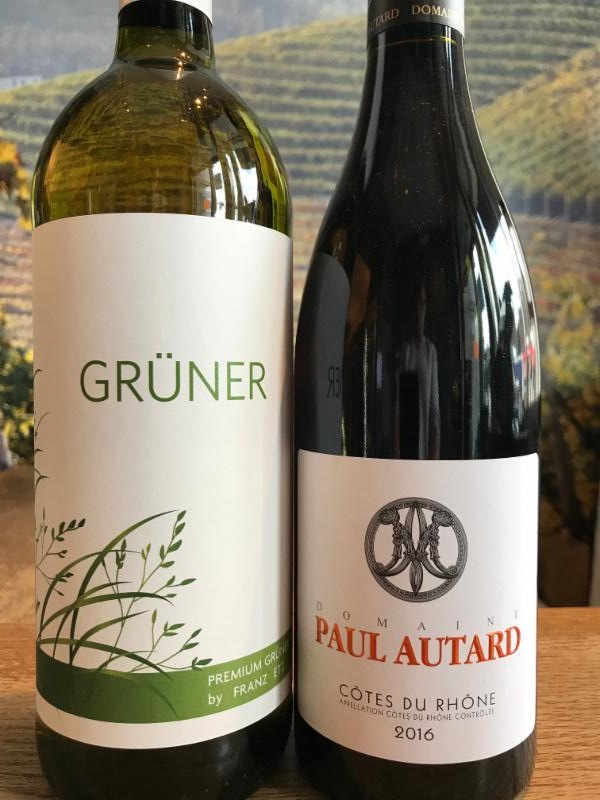 Gulp for gulp, inexpensive Grüner is better than just about any other white wine in its category, delivering fresh flavors, vibrant acidity, lower alcohols and best of all (volume! volume! volume!) a third of a bottle more to enjoy. Or how about a great red value? Côtes du-Rhône wines in general represent amazing QPR (that’s quality-price-ratio), arguably the best in France.